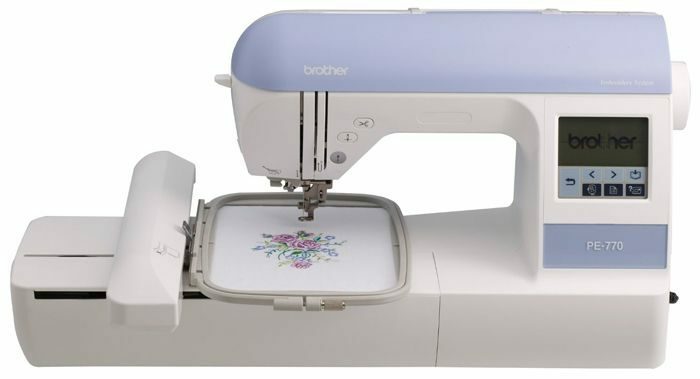 In the third position of our top five best embroidery machines review is the Brother PE770. It has exceptional aspects which increase your proficiency as a designer. If you are just starting up, it has features to accommodate you too. In the past sewers had to write new creations to use them later manually. If you saw a pattern somewhere, you had to rush to write it down. However, gone are those days because the Brother PE770 eliminates that with its memory? It has an extensive LCD screen which measures five by seven inches respectively. It provides you with the opportunity to view your designs clearly before you are done. It also offers you a chance to edit before you stitch. Thus you end up with a perfect finishing. The machine has an in-built memory which allows you to import and store designs from other sources such as a flash or memory cards. That way you are assured that they stand no chance of being deleted. Hence you can easily retrieve them whenever need arises. With a weight of only 8 lbs, you can easily move with it whenever you want. If you are a person whose career requires, you to move constantly then it is the ideal machine. You will not have to worry about extra heaviness to your luggage as it is quite light. Any learner needs a machine that is neither too fast nor slow. He/she needs something that at least measures to their pace. The Brother PE770 offers you just that. With 650 stitches a minute, it is equal to the speed of many amateurs. Thus whenever you are handed a machine with more, you easily keep up. You were invited to a job interview, and you passed it. The next Monday you arrive there, everything and everyone are new to you. That is the same feeling a learner goes through with a new machine. However, the Brother PE770 is here to change that. It has in-built tutorials which assist you learned the basics. With the tutorials, you have enough information hence no need to go through the guide. Q. 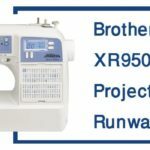 Can the Brother PE770 be used in sewing? A. No. 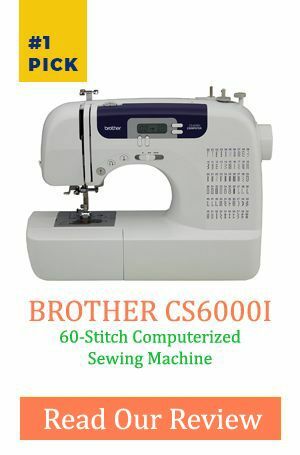 the machine is intended for embroidery purposes only. Q. How is the multipurpose screwdriver used? A. It is important to note that it can be used in three positions. However, for the first position which is essential, you can install or remove presser foot holder to put it in position. But do not rotate it forcefully in the wrong direction if you do, it ends up breaking. Q. Can the designs be purchased? A. Yes. You can buy from websites. 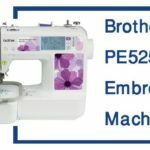 Brother PE770 is best for embroidery for home sewing. With its in-built memory its useful for expert designers as they can store information for future reference. The speed is just okay for both advanced and beginners.